I hate writing news about this kind of stuff. 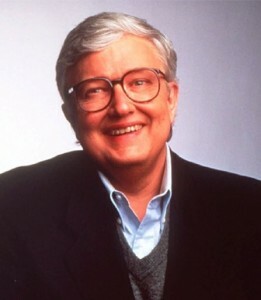 Roger Ebert was a great writer, a great man, and a lover of film. For us movie buffs, film nerds, and cinema fanatics, Roger and his long time pal Gene taught us that it is okay to love movies and be obsessive about them. Not only did he love films, or at least most movies, he had an uncanny voice that inspired the globe to learn and love the world of cinema. Ebert has been battling cancer for the last several years, a cancer that took his voice and lower jaw. But that didn’t stop Ebert. He took to the internet and his loyal fans to keep writing his movie reviews and views on the world. As a film journalist, Ebert was a true inspiration and role model of what I always wanted to strive for. No matter if I disagreed or agreed with his opinions on movies, he was a class-act, always. The film world lost a legend today. My thoughts go to his wife, family, and friends. If you even enjoyed a movie at some point in life, a little bit of that enjoyment is from Roger Ebert. This entry was posted on Thursday, April 4th, 2013 at 2:50 pm	and is filed under Film, News. You can follow any responses to this entry through the RSS 2.0 feed. You can skip to the end and leave a response. Pinging is currently not allowed. « Win ‘Evil Dead’ Movie Passes and ‘Evil Dead’ Comics!! !